Biketrial is an individual sport discipline that tests the riders' ability on how well they are able to overcome hurdles. It is ridden on mountain bikes and special bikes made especially for this sport. Most competitions take place in beautiful outdoor settings. The hurdles can be either natural (e.g. stones, wood, streams) or artificial like those that might be found in urban areas (e.g. wooden pallets, tyres). The aim is to go through each "section" in a limited time, without the rider himself having any contact with the ground or the hurdle. children's hobby becomes a pleasure for their parents. 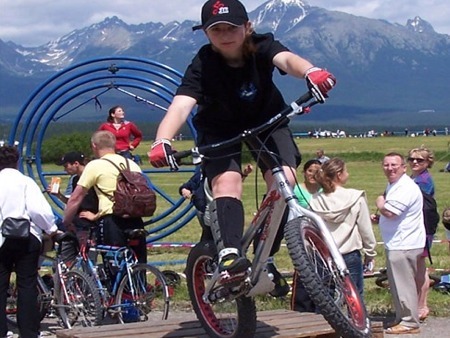 Because of the riders' abilities, the excitement, and the settings Biketrial is also a very attractive sport for spectators. Biketrial continues to see ever-increasing growth all over the world.